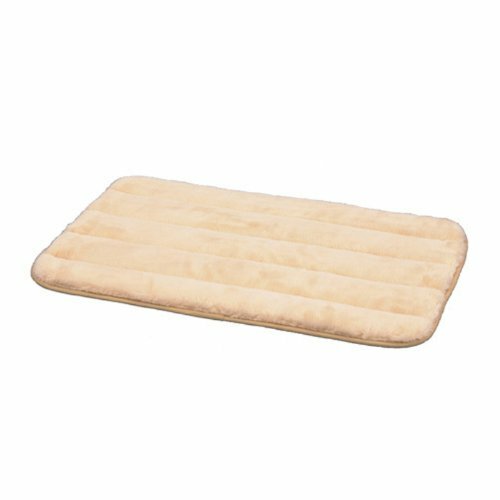 Precision Pet Snooze Sleeper: Ultimate softness is what you'll find in the Snooze Sleeper! Pets love them in crates, carriers, dog houses, or anywhere! 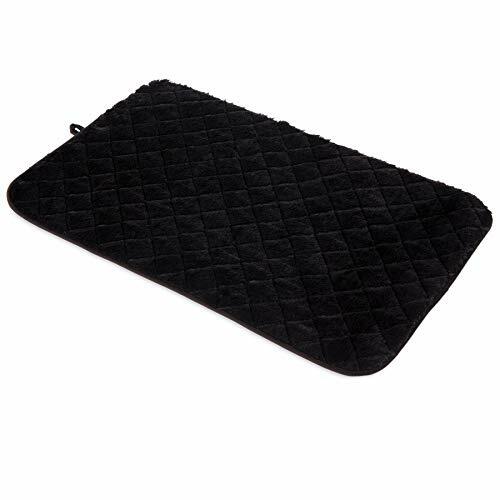 Luxurious plush fabric and a non-skid backing roll up for traveling. Machine wash cold gentle cycle. Wash separately with no bleach and tumble dry low. 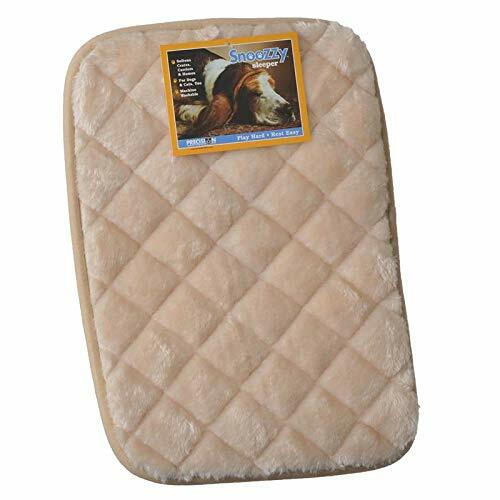 The Natural SnooZZy Sleeper Dog Bed is ideal for crates, carriers, dog houses or anywhere your dog likes to spend time relaxing. 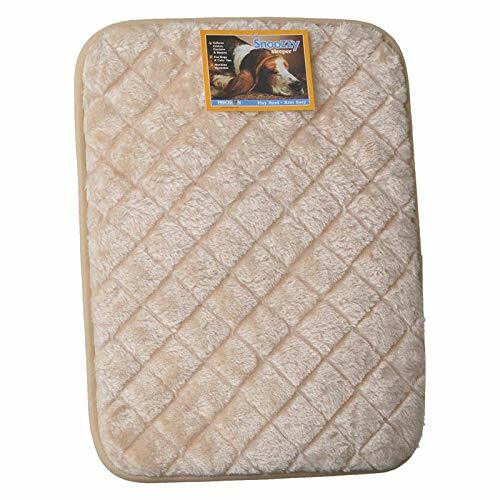 This cushy dog bed has a non-skid backing and rolls up for easy travel and storage. It is completely machine-washable. Machine wash in cold water on the gentle cycle. 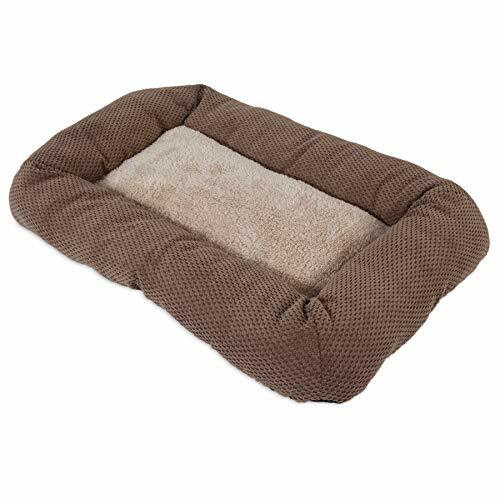 Do not use bleach and tumble dry low.If you're using this pet bed in a crate or dog house, be sure to measure carefully to determine the most compatible size.18L x 13W inch bed Fits crates 18L x 14W inches Ideal for extra small dogs 23L x 17W inch bed Fits crates 25L x 20W inches Ideal for small dogs 30L x 19W inch bed Fits crates 31L x 21W inches Ideal for medium dogs 35L x 23W inch bed Fits crates 37L x 25W inches Ideal for medium/large dogs 43L x 28W inch bed Fits crates 45L x 32W inches Ideal for large/extra large dogs 49L x 30W inch bed Fits crates 51L x 33W inches Ideal for extra large dogs Rectangular dog bed in plush soft fabric. Size options for dogs of all sizes (based on availability). Features a non-skid backing for use on hard surfaces. Completely machine-washable. 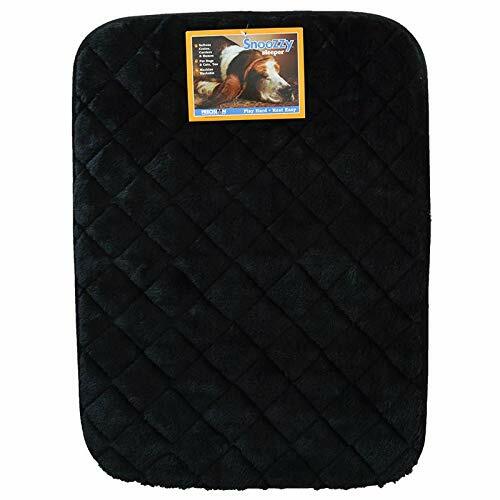 Snooze quilted kennel mats are specifically designed for use in the car, at home, or inside crates. Comes in a variety of sizes and designed to fit standard wire dog Kennels from sizes 19 inches to 48 inches. 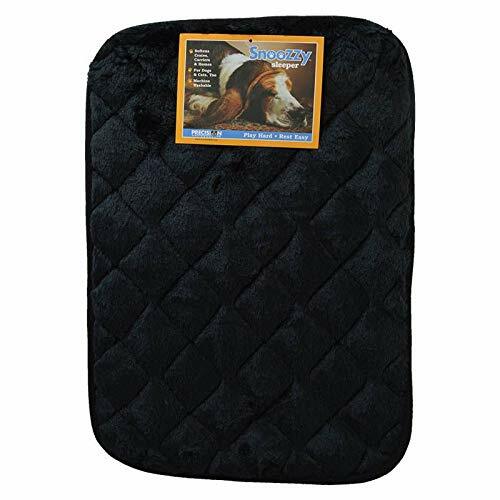 Snooze quilted kennel mats bring comfort to your pet while being in their kennel when you're away. 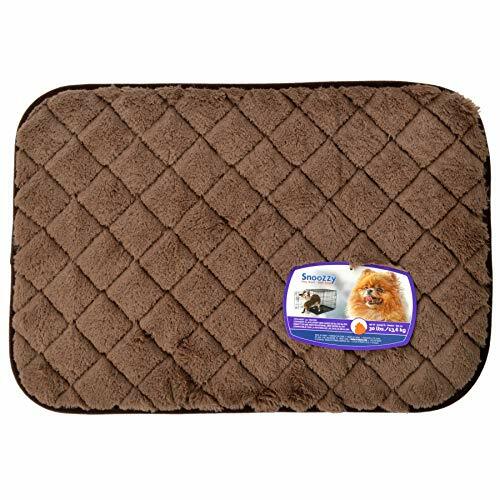 Designed to keep your pet cozy and warm, The sleep surface is made up of a super-soft quilted plush fabric. A non-skid bottom helps keep the mat in place. Whether you are crate training or on the go, The convenient, lightweight design of the quilted kennel mats makes them easy to roll up for travel. 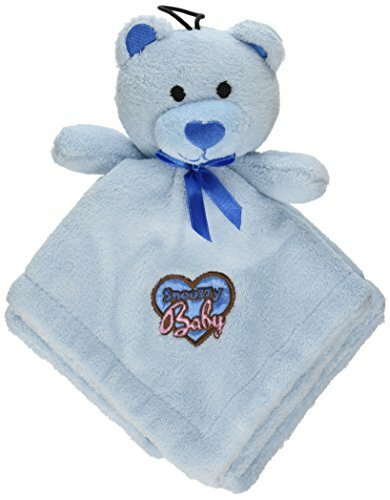 For easy cleaning, They are machine washable. Compatible kennel sizes and mats are as follows: XS = 19 inch kennels, S = 24 inch kennels, M = 30 inch kennels, L = 36 inch kennels, XL = 40 inch kennels, giant = 48 inch kennels. Precision Pet SnooZZy Sleeper 3000, Black, 30" x 19"